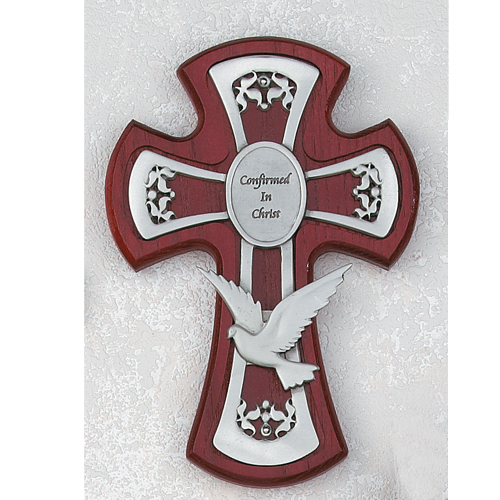 This 6" Cherry Stained Cross has inlaid pewter details, reading "Confirmed in Christ" in the center of the cross with a dove in flight along the bottom. A wonderful gift for Confirmation and RCIA. Proudly made in the USA.